National Stakeholders Workshop on the Validation of the Draft Revised EIA Act by the Federal Ministry of Environment. In view of the foregoing and in order to update the EIA Act and expand the scope of its coverage in line with current global trends, a Ministerial Committee was set up by the Honorable Minister of Environment to review the Act. Presently, a draft revised EIA Act document has been produced. 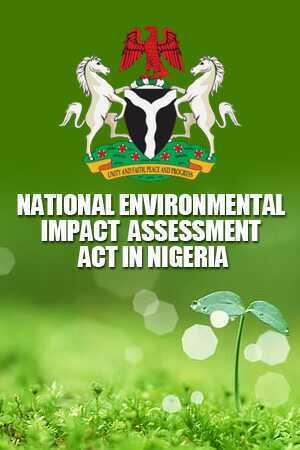 A National Stakeholders Workshop for validation of the draft revised EIA Act document has been scheduled to take place in Abuja.